It is not your standard book-to-screen translation. For one, New Line’s long-brewing adaptation has been split into two parts, with the first, aptly titled It Part 1 – The Losers Club, due to creep into theaters in September. Directed by Mama‘s Andy Muschietti, there’s a palpable sense of excitement swirling around Muschietti’s R-rated picture, not least because it promises a no holds barred adaptation of the Stephen King classic. You know, with the exception of graphic sexual content. 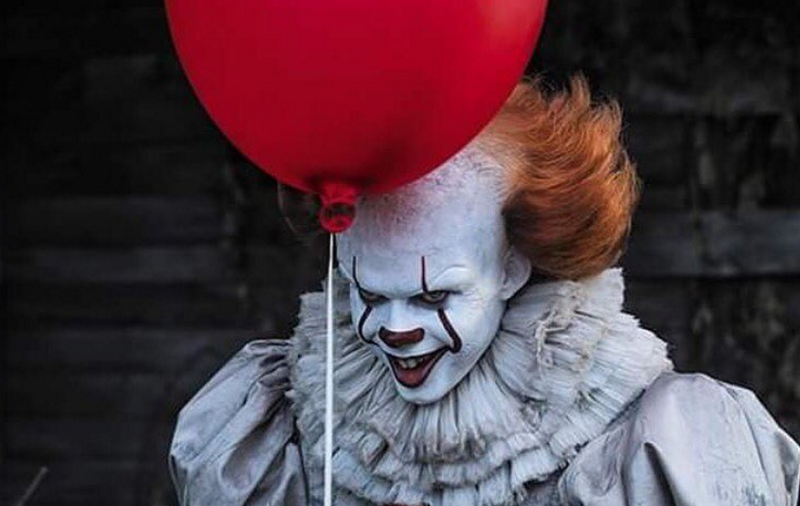 That commitment to delivering an intense, nail-biting thrill ride is something Muschietti echoed during a recent interview with French outlet Mad Movies (with a tip of the hat to Bloody Disgusting). Because make no mistake, It is an R-rated film, and it’s this relatively liberating classification that has allowed Muschietti and the rest of the creative team to take a deep dive into King’s seminal story of troubled youngsters and demented clowns from another dimension. This is an R rated movie. I’m very happy about that, because it allows us to go into very adult themes. Each ‘loser’ knows a situation of despair, on top of the terror of It and the fear of heights. Beverly’s case is, of course, the worst, because it’s about sexual abuse on a minor. But each kid is neglected one way or the other. Bill is like a ghost in his own home: nobody sees him because his parents can’t get over Georgie’s death. Of course, Ben is bullied at school. We don’t know much about Richie’s personality, because he’s the big mouth of the group. But we suppose he’s also neglected at home, and he’s the clown of the band because he needs attention. Long story short, there’s all sorts of difficult situations, and we had the chance to tell them in a movie that faces directly those conflicts. In particular, the families of the young actors were very open-minded, so we could tell the about subjects that are normally very touchy. Being confined to a PG-13 rating would’ve only resulted in a tame interpretation of It, and as Andy Muschietti stressed to Mad Movies, the idea of working under an R-rating was one of the first points of discussion when Muschietti climbed aboard to direct. From our very first discussion with the people from New Line, it was understood that the movie was gonna be rated R. Of course, it was already crazy that they started a story revolving around the death of children. But if you aimed for a PG-13 movie, you had nothing at the end. So we were very lucky that the producers didn’t try to stop us. In fact, it’s more our own moral compass that sometimes showed us that some things lead us in places where we didn’t want to go. Also starring Jaeden Lieberher, Jeremy Ray Taylor, Wyatt Oleff, Chosen Jacobs, Jack Dylan Grazer, and Sophia Lillis, It Part 1 – The Losers Club opens in theaters on September 8th.